With a 3,000 year history behind it, Beijing is one of the oldest cities in the world and it really shows. You’d struggle to find anywhere else on the planet with such a high concentration of cultural landmarks. In fact Beijing has 6 UNESCO sites in the city alone, which is one less than the entire country of Egypt. Add to this the fact that China is one of the world leaders in business and technology and you are left with a city that boasts a fascinating melting pot of both modern and ancient architectural wonders. 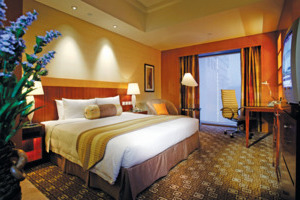 Whether you intend to partake in the amazing culinary scene and experience your favourite dishes from the local takeaway in their true form, visit the historical and modern marvels of engineering, experience some of the magnificent Chinese theatre or simply do a bit of shopping in the famous Wangfujing district, we here at Travelbag can guarantee to find the best Beijing hotel for you. So what exactly is the range when it comes to hotels in Beijing? The hotels themselves vary just as much the other buildings in the city. 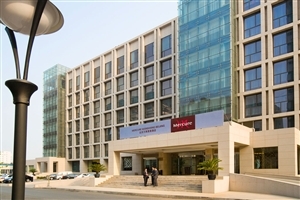 For those looking for cheap Beijing hotels there are the Mercure Wanshang and Mercure Beijing Downtown which both provide great locations at opposite ends of the City for a great price, whilst still providing all the luxuries and top rate service that the Mercure brand has become famous for. 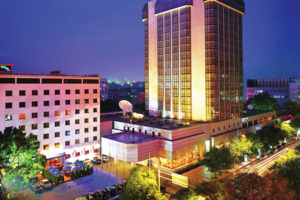 Those looking to take in as many parts of modern Beijing culture as possible would be best staying at the Swissotel , which is located at a significant intersection that connects to the central business district, the diplomatic district, the Wangfujing shopping district and the Lufthansa commercial district. 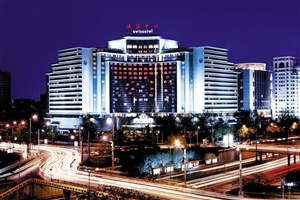 For those who want a similarly central location but are more interested in seeing the cultural sites, the Novotel Peace Hotel is the best hotel in Beijing for them. Located only a short walk from both Tiananmen Square and The Forbidden City. Those looking for the best of the best hotels in Beijing need look no further than The Raffles Beijing Hotel , located near the Wangfujing district and The Forbidden CIty, this classic hotel combines traditional Chinese decor with elegant French touches to create a cultural fusion guaranteed to please the most discerning of travellers. See a Peking (old dialect for Beijing) Theatre show. Considered by many Chinese people to be the highest artistic achievement of Ancient Chinese culture. These unique shows combine spoken word, song, amazing fight scenes and traditional Chinese acrobatics. Non Mandarin speakers need not worry as the shows are performed in an archaic stage dialect that even native speakers struggle to understand, similar to how Shakespeare is written in Old English. Visit the Beijing National Stadium. Built for the 2008 Summer Olympics and being used for the upcoming 2022 Winter Olympics means that Beijing is the first city to have hosted both events. Travel even further back in time than the Ming Dynasty and visit Dragon Bone Hill, the site of the famous archaeological dig that found Peking Man, one of the oldest examples of our ancestor Homo Erectus ever found. Go on a bike ride. The famous song states that there are nine million bicycles in Beijing, why not be the 9,000,001st and navigate the city the same way that the locals do? Whatever you choose to do with your time in Beijing, book your 2019 or 2020 hotel stay with us today and make sure your accommodation is as memorable as the activities you enjoy while you’re there. Here is just a selection of our favourite and cheapest hotels in Beijing. Please use our search panel above to find your perfect choice. 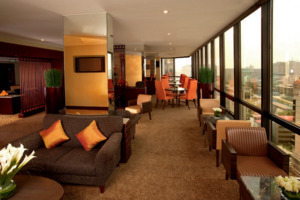 Situated west of the historically rich city of Beijing, the Mercure Wanshang Beijing is a modern haven that offers both leisure and business guests a world of comfort and luxury during their memorable stay in China. The hotel is filled with stunning furnishings which compliment the chic layout and design ... of the hotels interiors and exterior. Each of the 281 fully furnished guestrooms are splendidly appointed with generous amounts of space and high quality amenities, assuring each and every guest the best in service and a great hub to start and end each day. The various dining venues each feature their own stunning array of delicacies, while the facilities which range from beauty salons to shopping outlets are sure to impress. Surrounded by local attractions and wonders, the hotel is ideal for explorers who wish to delve into the culture of Beijing, while those who wish to simply relax will soon find this hotel to accommodate in spades. Close to the sights of Tiananmen Square and the Forbidden City, the Novotel is in prime position for guests to explore the best of Beijing's treasures. Rooms are modern and contemporary in design. The hotel's six restaurants showcase the variety of different cuisines from French to regional Chinese. This excellent mid-range property boasts one of the best locations for sightseeing in Beijing, with Tiananmen Square and the Forbidden City just a short stroll away. Guest rooms have a modern decor, there is a lobby lounge offering drinks throughout the day and two restuarants, one offering buffet dining and ... an outstanding French restaurant. 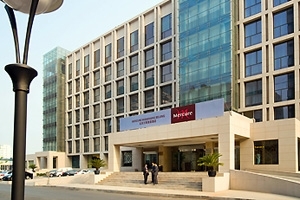 A modern hub standing at the ready to welcome any and all guests with open arms and a warm service; the Mercure Beijing Downtown hotel is a splendid haven situated deep in the influential Chao Yang Business District of the sprawling city of Beijing. Adorned in modern decor and featuring ... stylish furnishings throughout, the palatial hotel takes the best aspects of modern comforts, such marble textures and spacious rooms and combines them with traditional Chinese overtones, from the wooden partitions to the ornamental furnishings and enriched hues that lend the hotel an overall sense of eastern luxury. The 373 guestrooms and suites are fully furnished to accommodate both leisure and business travellers, each featuring a low-density design and some boasting special club privileges. The hotel’s dining venues ensure that guests not only get an eye full of the wonders of Beijing, but a taste for them too, while the numerous in-house facilities are the proverbial cherry on the cake to what will most certainly be an unforgettable holiday experience in The Middle Kingdom. Located within downtown Beijing, this hotel is within walking distance of the city's finest sights and close to the bustling shopping area of Wangfujing. Offering stylish rooms ranging from Standard, Club and Suites, the Park Plaza is a modern hotel with all the comforts needed for a relaxing stay. The ... excellent facilities include three restaurants serving Northern Chinese, Japanese and Pan-Asian dishes and a beauty salon offering a range of treatments. An icon of elegance and tradition, Beijing Hotel NUO is known as one of Beijing's most salubrious hotels. The hotel is perfectly located close to the Forbidden City and just a short walk from the shopping district of Wangfujing. 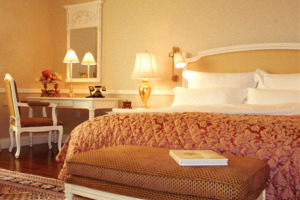 All rooms and suites are well appointed with Oriental accents and ... French elegance, offering guests the utmost in luxury. There are four restaurants and bars offering a varied and mouth-watering array of French, Italian and Chinese cuisine. The modern Swissotel Beijing is an elegant, high-end hotel located at a significant intersection in the sprawling city of Beijing that connects to the central business district, the diplomatic district, the Wangfujing shopping district and the Lufthansa commercial district, offering guests first and foremost plenty of access to various areas ... of the city important for both business and leisure travellers. The hotel also brings plenty of sophistication and luxury to a guest’s stay, from the numerous quality facilities that soothe both body and soul to the various dining venues that present exquisite tastes to accompany the magnificent sights of China. The hotel is adorned in a modern style, utilising lavish furnishings and warm, welcoming colours in its design, as seen throughout the 430 superbly fitted guestrooms and suites, each with their own individual characteristics and benefits, but all sharing the same goal of total comfort and privacy. With an attentive level of service and housing a myriad of options, the hotel is more than equipped to accommodate travellers as they venture out and create unforgettable memories in one of the most deeply enriched cities in the world.